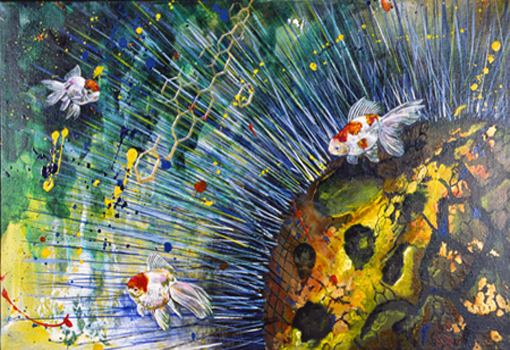 Ishida depicts spiritual subject matter through his paintings, which evoke meditation themes. His use of tranquil colors and images of lotus flowers and Buddha develop these motifs and invite viewers to respond to his spiritual exploration. The artist received his BA from Sonoma State University, CA and an MFA from the University of Wisconsin, Madison. He currently lives and works in New Jersey.